There are seldom things better than a trip with the family. 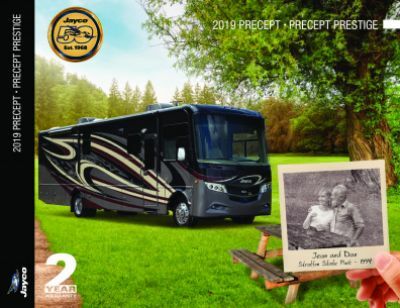 Make those trips even better with the 2018 Jayco Precept 36T! This Gas Class A Motorhome is the ultimate travel buddy, and it's ready for years of RV adventures! When you shop at National RV Detroit, you can get this model and other top quality RVs for an excellent price! Our ultra low prices and exceptional customer service are just a few of the reasons why we're one of the top RV dealers in Michigan! See this model for yourself when you visit our lot at 44700 N I 94 Service Dr Belleville Michigan 48111. If you're looking for more information, call our Precept expert today at 734-439-3400! Don't worry about not being able to tow this RV! It has a hitch weight of 5000 lbs. and a GVWR of 24000 lbs. You'll want some shade and comfort while you're lounging outside, so pull out the 12' 0" awning with ease! 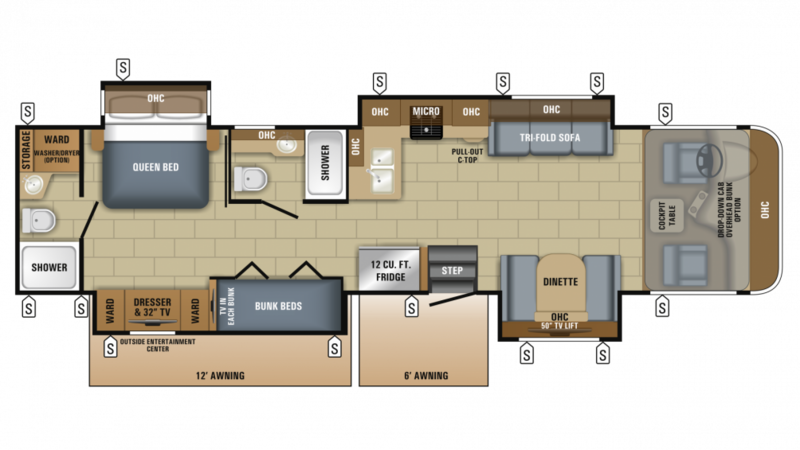 There's lots of room for the whole family in the spacious living area of the Precept 36T, thanks to the 4 slides that maximize the space inside this 38' 2" long, 8' 5" wide, and 12' 7" high Gas Class A Motorhome! And you'll enjoy the perfect climate inside, no matter how cold or hot it is outside, thanks to the modern 15000 BTU a/c unit and the efficient 30000 BTU furnace! Family or guests can cozy down in the bunkhouse when the sun sets, and they'll enjoy a great night's sleep!